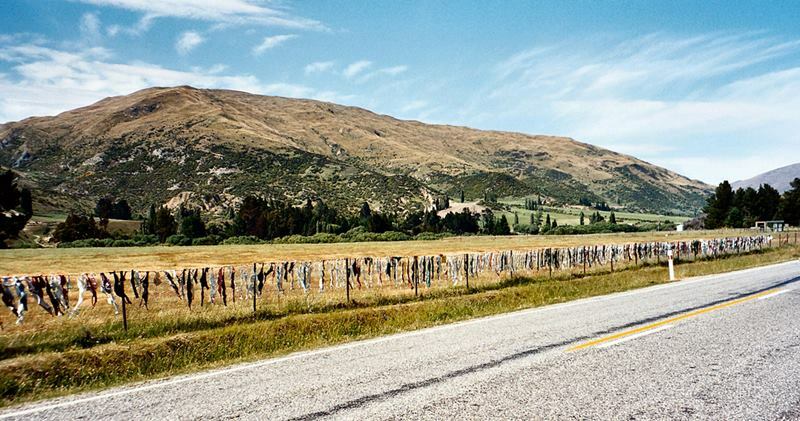 The Cardrona Bra Fence was a controversial tourist attraction in Central Otago, New Zealand. The story began sometime between Christmas 1999 and New Year's Day 2000, when four bras were hanging on the fence. The fence gradually became a famous site as the number of bras grew to hundreds. It is still unknown the origin of this fact. News spread of the addition, which was left on the fence by the local landowners, and more bras began to appear. After two months there were some 60 bras, but at about this time they were all removed anonymously. 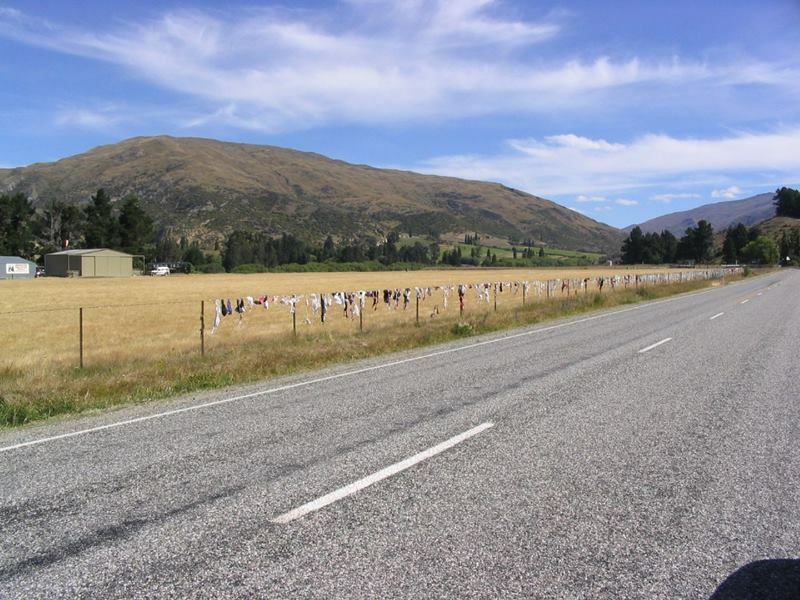 This was reported in the local press, and the story gained widespread dissemination through the New Zealand media, leading to more bras appearing, and in October 2000 around 200 bras were removed and the fence was cleared of bras and this time the story spread even wider, as the fence had by this time become to some a quirky tourist attraction, and media sources from as far afield as Europe became interested in the fence. Due to this interest the number of bras being added to the fence personally or sent to be added increased dramatically. 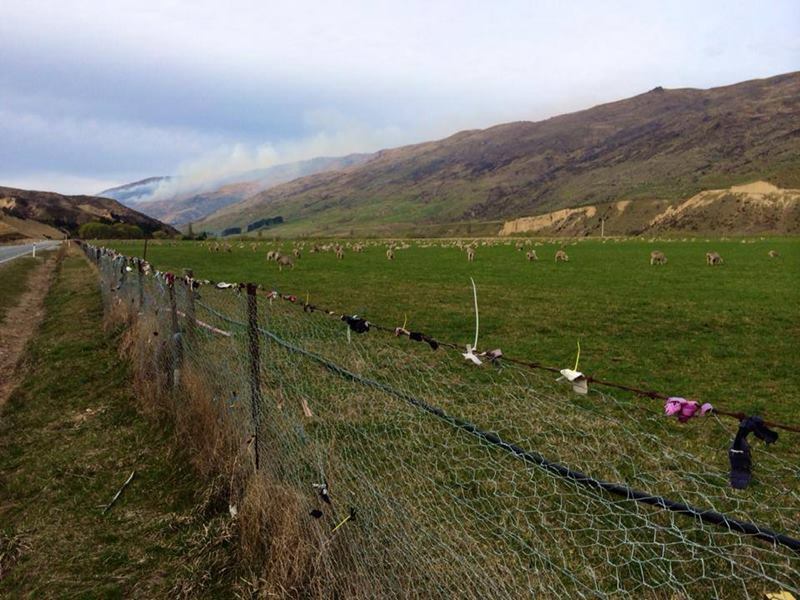 After unsuccessful legal challenges, and the burning of many bras (the ones on the fence), it was found that the fence sat on public land. 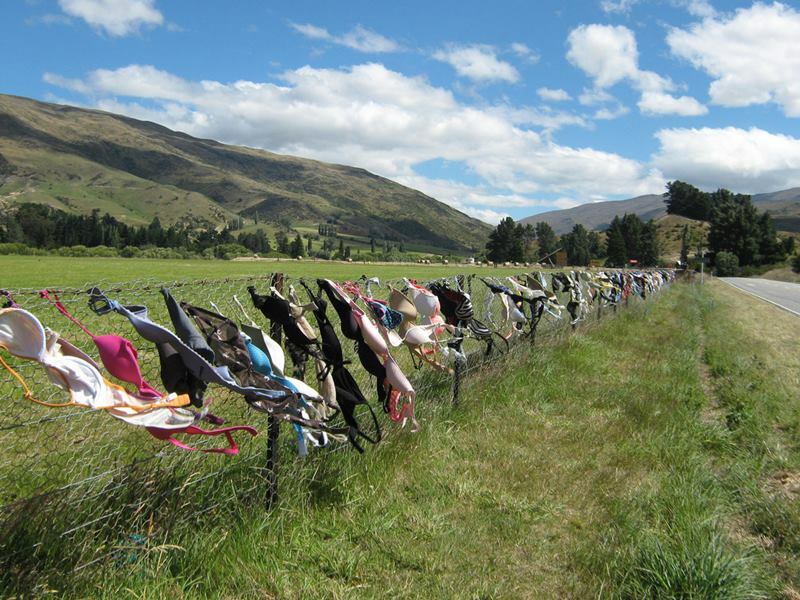 The Queenstown Lakes District council stepped in and ordered the removal of the bras from the fence, on the grounds that they were an eyesore and a traffic hazard. On September 9, 2006, over 1500 bras were finally removed from the fence. 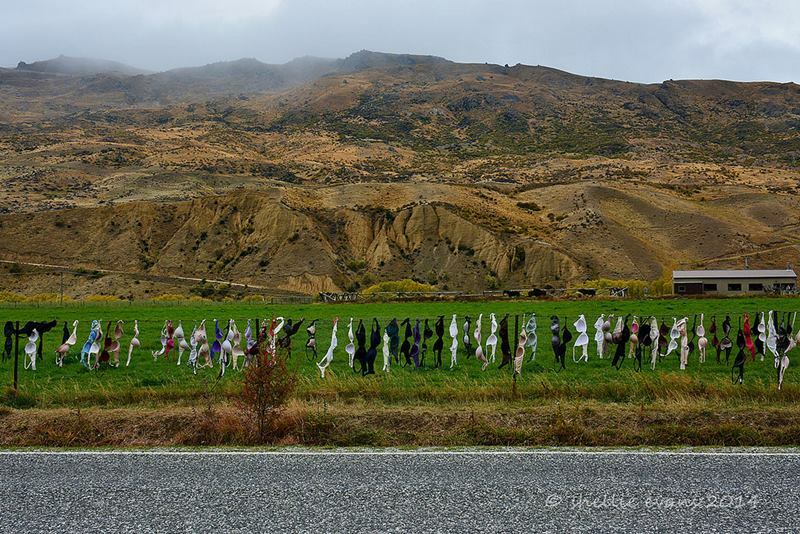 An attempt to use the fence to get the record of the longest bra chain fell short a few years back, but the juxtaposition of bras of every color against a backdrop of rolling hills and sheep make it a unique New Zealand attraction.